While you’ll find an array of great restaurants just moments away in downtown West Kelowna, you can also enjoy a splendid dining experience without stepping foot out of the resort. 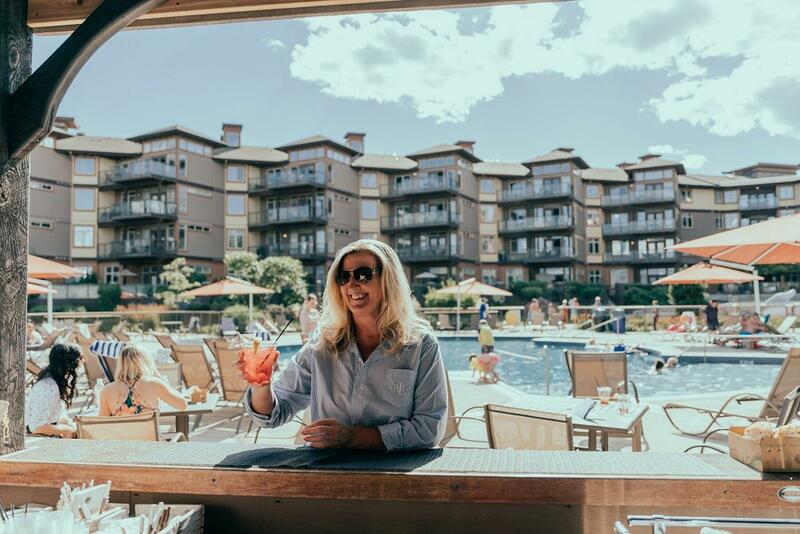 Our on-site Bonfire Restaurant features a vibrant, lively ambience energized by the open kitchen and floor-to-ceiling views of Okanagan Lake, the resort’s gardens and the beautiful mountains of Kelowna. Whether dining in the restaurant, on the patio, by the pool or in your suite, you’ll enjoy fresh seasonal cuisine that blends classic and rustic cooking styles and uses only the best locally produced and sourced ingredients. To experience a more casual meal, a drink after dinner or a live sports event on TV, drop by the intimate lounge, where you can pair a specialty cocktail, wine or beer with our popular menu items. Order our Truffle Parmesan Frites, nachos or a Charcuterie & Cheese Board for great food in a relaxing environment. Whatever the taste or occasion, Bonfire serves up a culinary experience on par with the top restaurants in Kelowna. Savour the seasons of the Okanagan at Bonfire Restaurant, where amazing waterfront views, superb ambiance and extraordinary cuisine await you. Dine in the warm and inviting main restaurant, grab a cozy table in the intimate lounge or relax on the stunning seasonal outdoor patio with panoramic views of the courtyard fountain, lush gardens and Okanagan Lake. The Bonfire Restaurant is additionally available for private business functions, including dinners, luncheons and breakfasts. Daily from 3:00 to 6:00 p.m. Craft beer $4 | House wine $1/ounce, six- to nine-ounce pours | $6 appetizers until 6:00 p.m.
Daily specials and happy hour are subject to change. Please contact Bonfire Restaurant directly for details and reservations. Looking to explore the local area a little more? Here are a few off-site restaurant locations, all of which are all within a very short drive or taxi ride from The Cove Lakeside Resort. There are many great locations in West Kelowna and Kelowna with all different kinds of atmospheres that offer variety in great food and drinks!